Even though we go through seasons of feeling isolated and distant, the truth is that God is not distant when we pray. 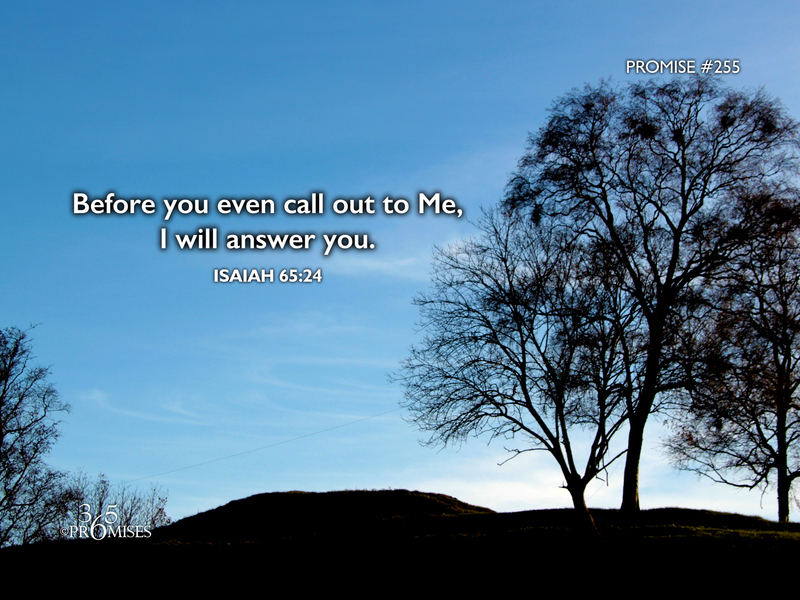 God is closer to us than we could possibly imagine and today's promise from Isaiah 65:24 is an encouragement that He will answer us even before we pray! In Matthew 6:8, Jesus affirms this promise by telling His disciples that their Heavenly Father knows what they need before they even ask!